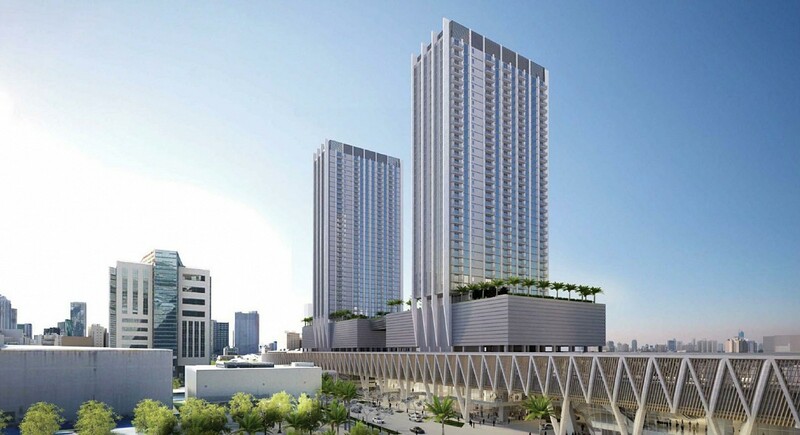 Located above the All Aboard Florida’s MiamiCentral Station, two new residential towers are being built approximately 60 feet above street level on distinctive podiums. YAS was retained by NBWW to provide structural engineering services for the two overbuild towers which will be structurally integrated with the station and track structure. The 33-story, 492,000sf north tower will consist of 350 rental units and the 39-story, 550,000sf south tower with 450 rental units, each with 4 levels of parking and an amenity level in the podiums. YAS designed ParkLine North and South as a post-tension concrete construction with a 120ft span truss amenity bridge linked between the two towers.